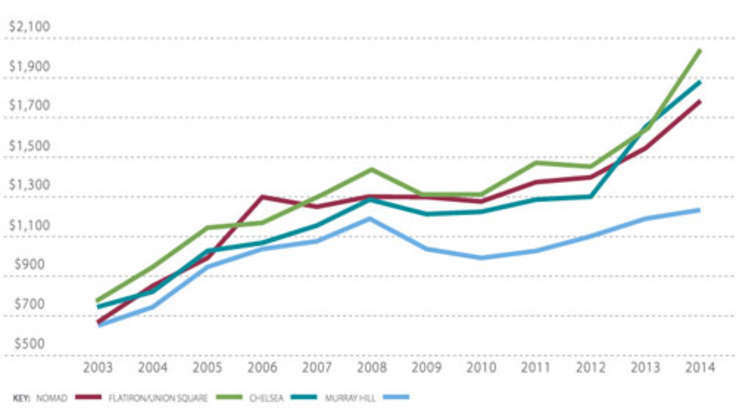 Throughout Brooklyn, buildings of all stripes are seeing new life as residential conversions. 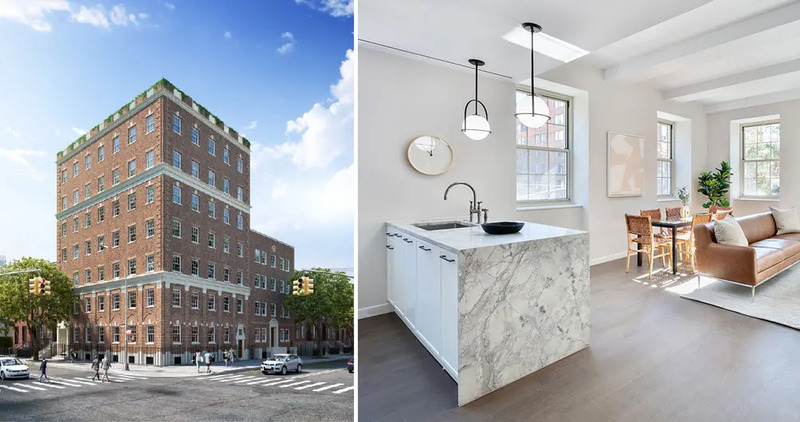 A prime example can be found at 75 Greene, where the Roman Catholic Diocese sold the seven-story Chancery of Catholic Diocese for $5.84 million (per Acris). Developer Douglaston Development led the residential conversion of this and an adjacent empty lot that sold for $1.99 million. Levine Builders took great care to preserve its arches, brick-splayed lintels, and other decorative details. At the same time, the apartments within are a modern buyer's delight. All 25 apartments have open layouts, modern finishes, generously sized rooms, oversized windows, and in-unit washer/dryers. 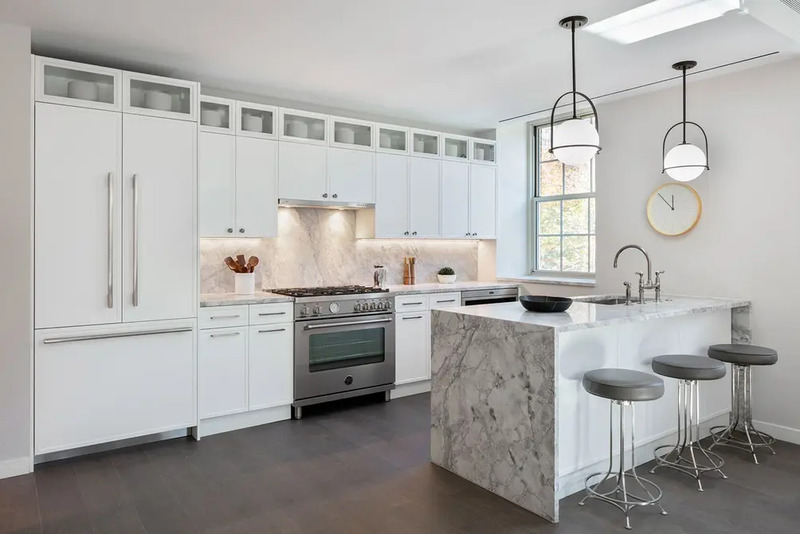 The chef’s kitchens are finished with custom cabinetry, high-end stainless steel appliances, and marble countertops. 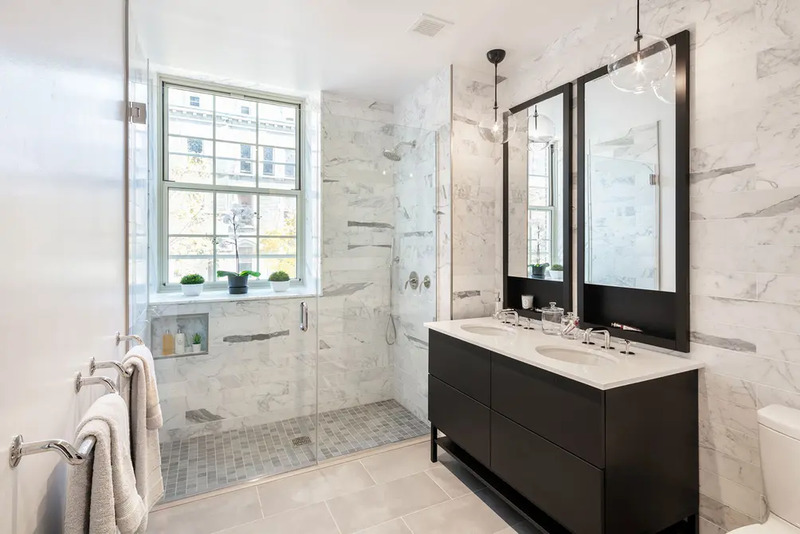 Master baths have marble walls, Restoration Hardware lighting, and custom vanities. There are only four apartments per floor on the lower levels, and the top three floors enjoy excellent privacy with only two apartments per floor. 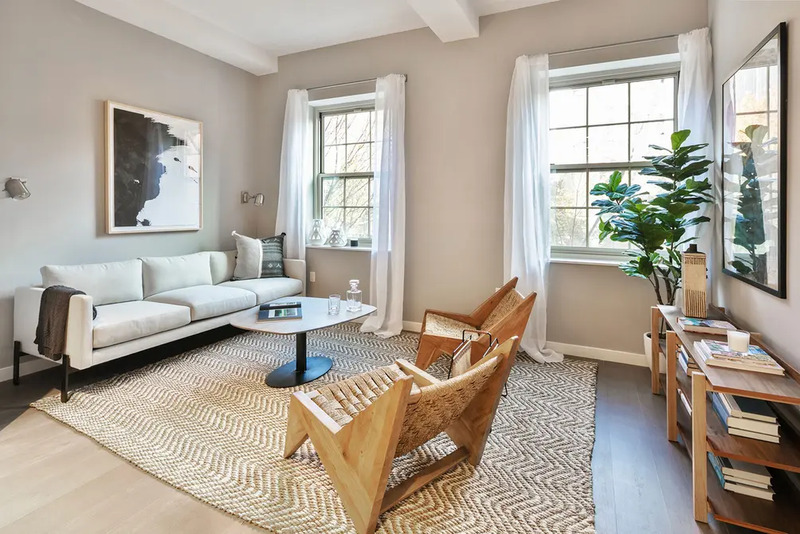 Fort Greene Park is only four blocks away, but 75 Greene has a private landscaped courtyard. Interior amenities include a video doorman, fitness center, package room, and bike room. 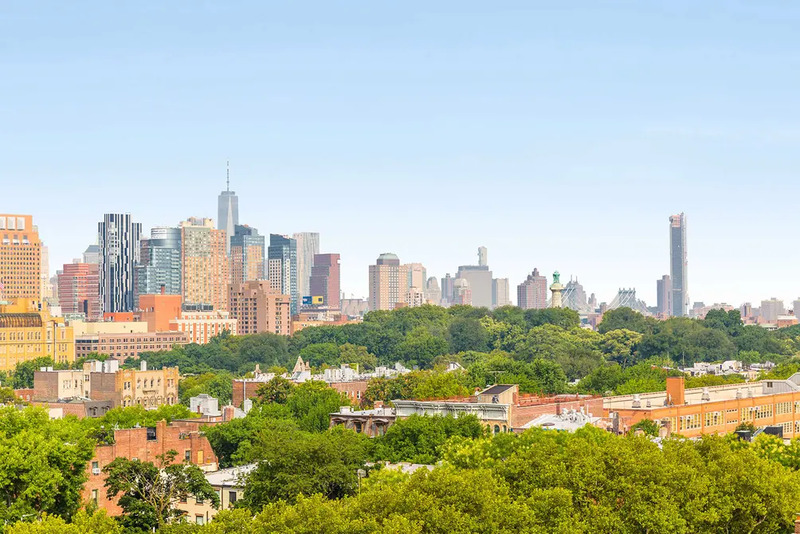 It is also a short distance from Brooklyn Academy of Music, Barclays Center, and the dining, shopping, and transportation options on Fulton Street. Sales got off to a brisk start at the beginning of the year, and a new batch of listings has recently come on the market. 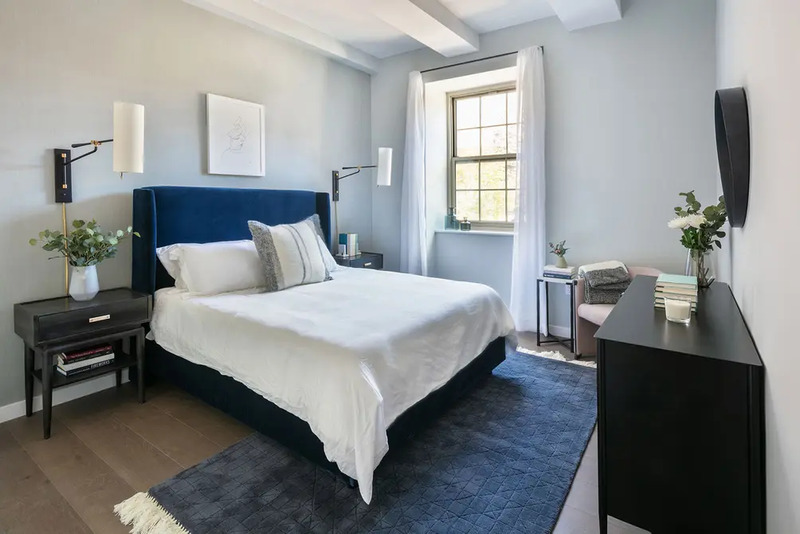 One-bedrooms start at $845K, two-bedrooms start at $1.44 million, and a three-bedroom is available for $2.395 million. 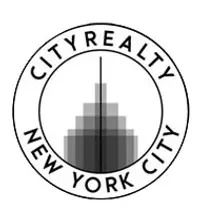 At an average of $1,298 per square foot, it is slightly above the Fort Greene average condo price of $1,207 per square foot (per CityRealty data).